For hundreds of years the hand-blown glass orbs known as "Witch Balls" have been used in practice to keep negative energies & evil entities out of the house. The magic of a Witch Ball lays within the spells of the Witch Ball to capture the intruders & trap them within the strands of the hollow glass. 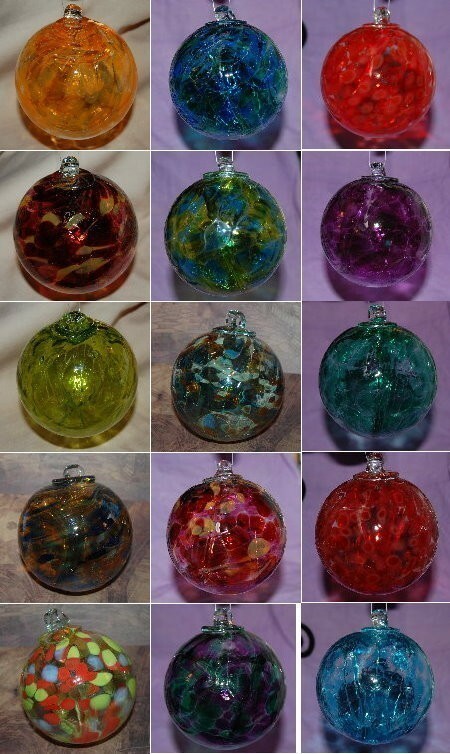 These Witch Balls are hand-blown using glass from the Carpathian Mountains. Each ball is 100% unique, no two are alike, providing its owner with intense protection! Witch Balls are a hundreds year-old tradition. Beautiful, hand-blown glass orbs that capture evil entities & negative energies within their web-like, hollow interiors.